Discussion in 'Vizio Co-Star' started by Wisdom, Nov 25, 2012. The "DREAM TEAM" Vizio Co-Star/Boxee TV Combo, DVR, Live Local TV, Internet TV, Google TV, Plus Sling Recorded TV Anywhere Via Your Android Smartphones And Tablets ....! All Integrated As ONE ....! Please note that co-star only works with cable. It doesn't work with broadcast TV. This is definately not a "cut-the-cable" solution. Until Google gets their act together and supports things like broadcast TV, this will not be a cable-cutting solution. A discussion between CatFishRivers and me ...! I'm assuming that the co-star will similarly not be able to search through the programming/channels of the boxee if it is only using OTA? Obviously Boxee TV can't provide all the benefits of a proper cable box-only so many channels can be delivered without a cable company-supplied set-top box. But Boxee thinks this could be especially handy for those who only have (or want) basic cable or antenna TV. Lookout for this one to hit stores on Nov 1st. 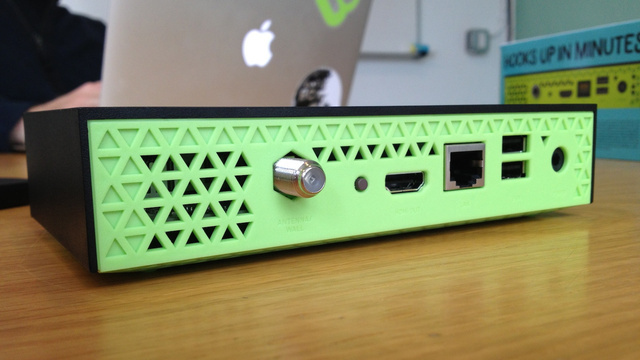 What are the montly fees for the Boxee DVR? So the co star doesn't work with the Boxee TV OTA programming, then? Your attempts at insulting people who don't agree with your bs marketing is getting very annoying. What is the point of the co star, if I just use the TIVO, or Boxee TV guide? It's not "integrated" in that case. That's not "integrating" them, that's how they connect. I'm trying to make sure that the average person reading these boards will see the good points of the co-star, as well as the negatives. There are both. Your constant insults to anyone who doesn't think that the co-star is gods gift to TV, will lead to many people buying the co-star and being severely dissapointed. * Note: I'm not sure why the above URL doesn't show up as a clickable link - but you can cut & paste that URL into Chrome browser to read the article about the Boxee TV special holiday deal. It will be hard sell at $10/month and I think impossible to sell at $15/month. I am also not sure of this cloud storage concept for a DVR, uploading when recording and downloading when viewing, I just can't get that to make any sense to me so I will continue to use local hard drives as I always have with a DVR. The co-star does support broadcast tv with something like a Tivo. The only thing that doesn't work (without a subscription) is the guide/record features IE primetime won't pick up the right channels. You can pick up a used one for around 60 or 70 bucks. So what actually works with the co-star and Tivo together, then? Of course I can use the Tivo guide; that can be used without the co-star. I can't search for programs with Primetime. What can any google tv app do in conjunction with the Tivo box. Wisdom, that's what the co-star "DOESN'T" do. It doesn't pick up local OTA stations in your local area. That's what I am talking about. If you pick broadcast as your stations, it doesn't list any channels. Another possible reason for using the Boxee TV is if you want VUDU service and don't already have access to that app. 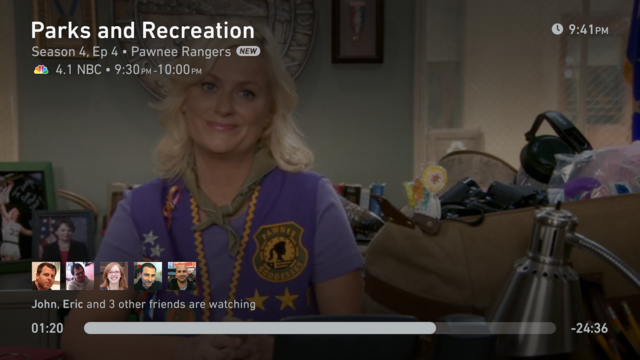 Boxee TV supports Vudu.